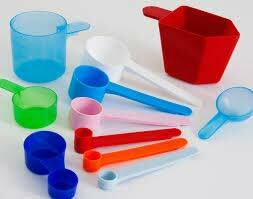 We are named among the renowned Suppliers of Measuring Scoops. We offer lucrative deals for Measuring Scoops. Measuring scoops are also known as measuring ladles or plastic scoops. You are welcomed to Swiss Pac for choosing measuring scoops from our stock and custom selection.